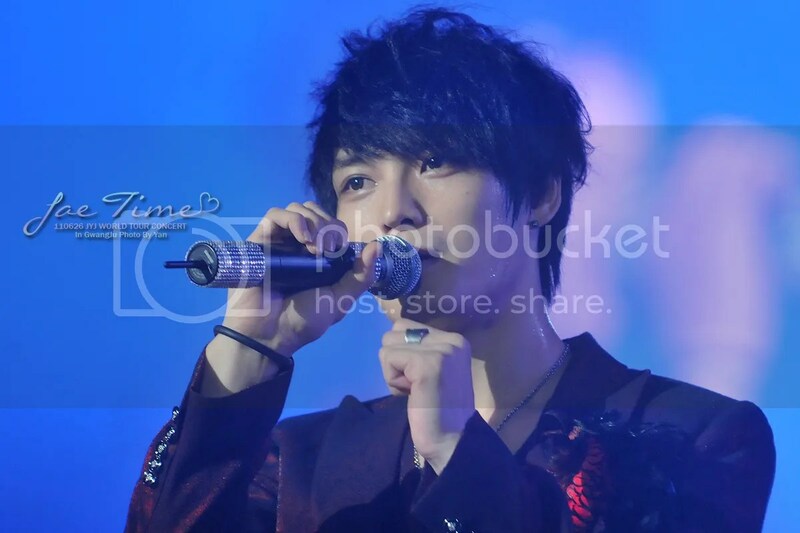 Jaejoong: earlier when we were singing “Found you”, we couldn’t hear the music very clearly, but everyone sang for us right. Thank you for giving us a better sound for this song. 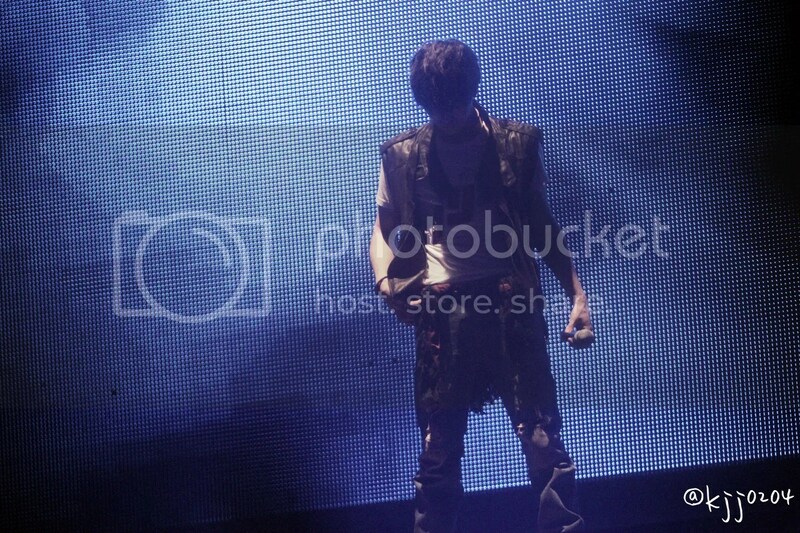 In the middle of our world tour, the part in “Fallen leaves” where we “start again” I feel it’s really great. Isn’t it great? 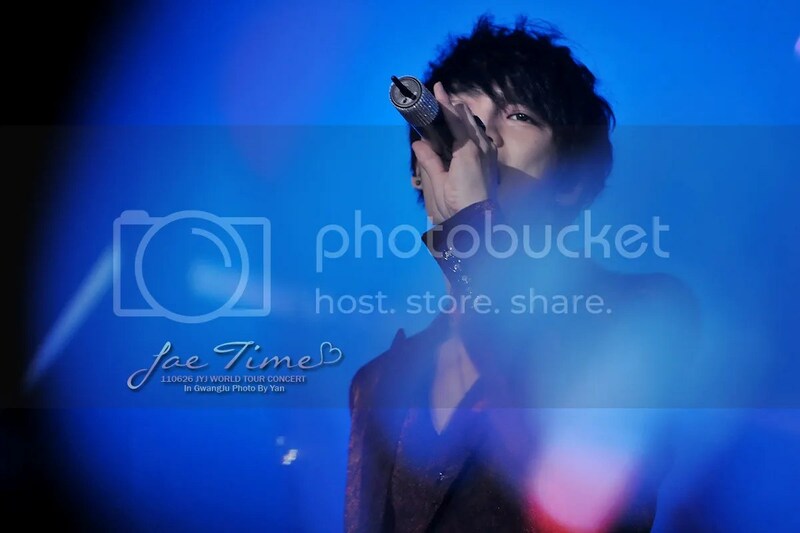 Yoochun: it’s amazingly great. Let’s sing it. 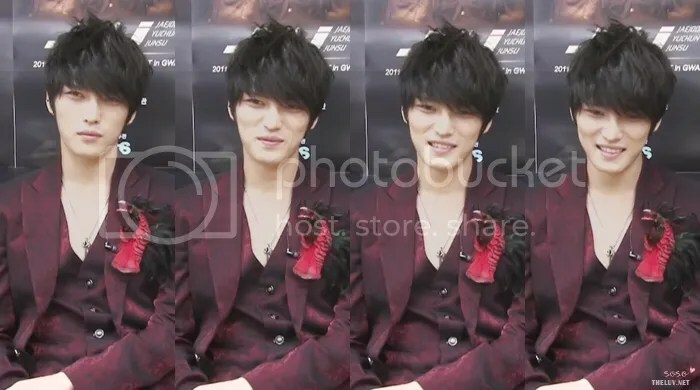 Jaejoong: we really wanted to do it more seriously. Junsu: Jaejoong-hyung you said you’ll do the vibration early didn’t you. 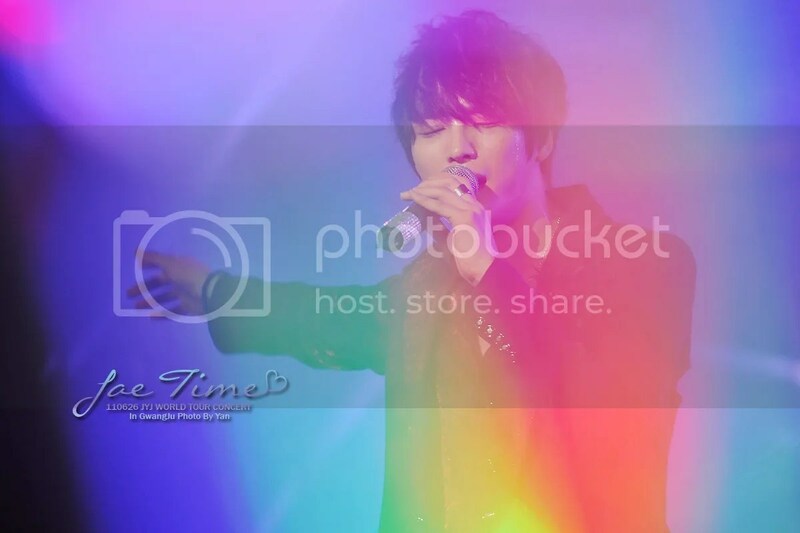 Yoochun: please do it earlier. 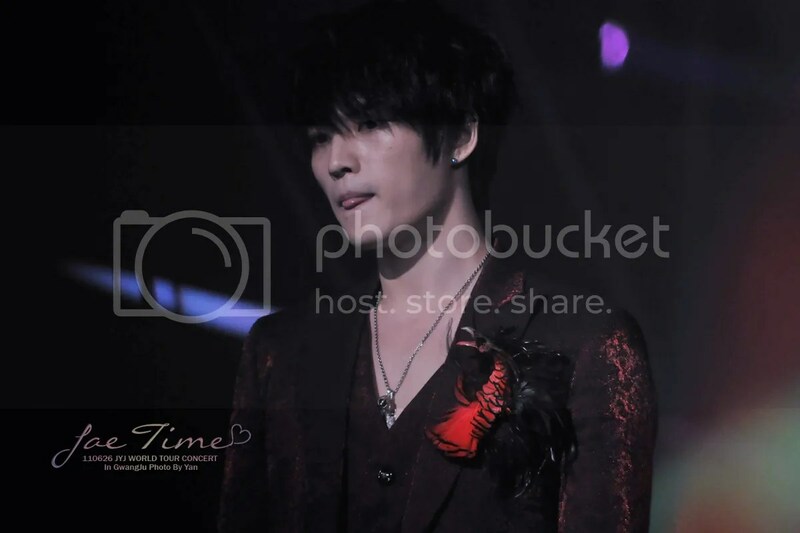 Jaejoong didn’t do it well so Yoochun did it. 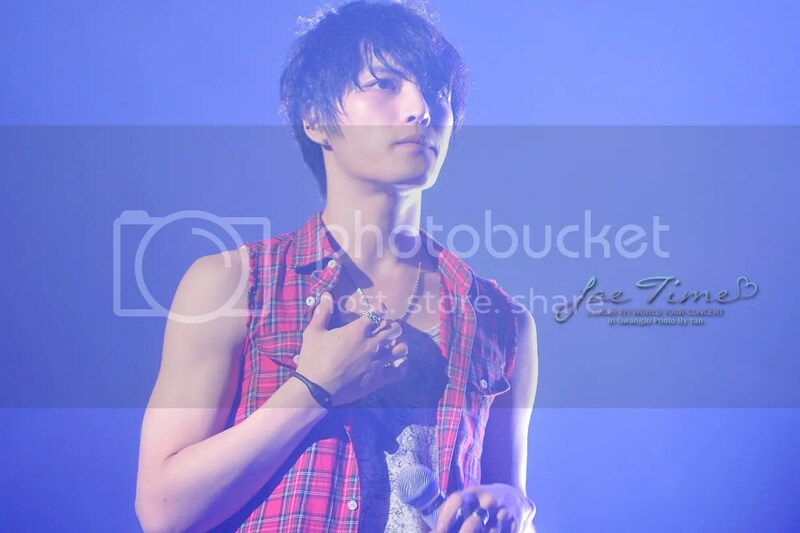 Jaejoong: Yoochun is much better at it right. Yoochun: I like the ‘zaaa~’ part. Yoochun: We do it like this during rehearsal. 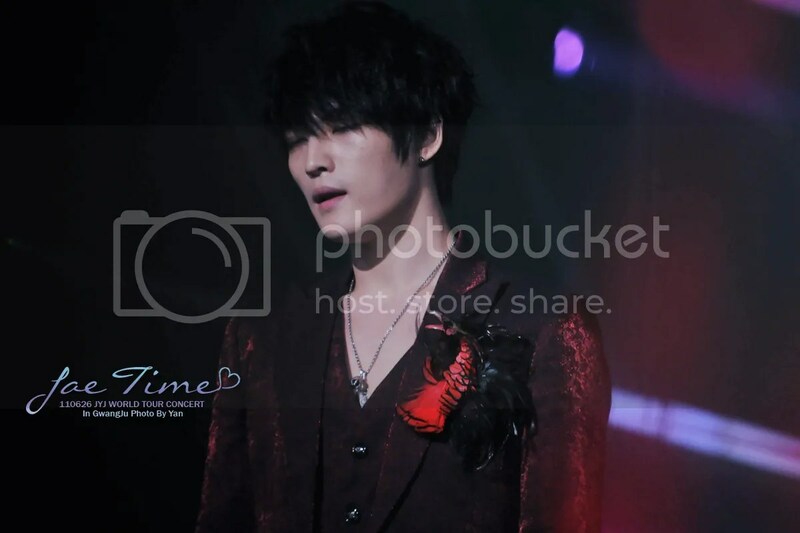 Jaejoong: But we do it with music. The three did it with music this time. 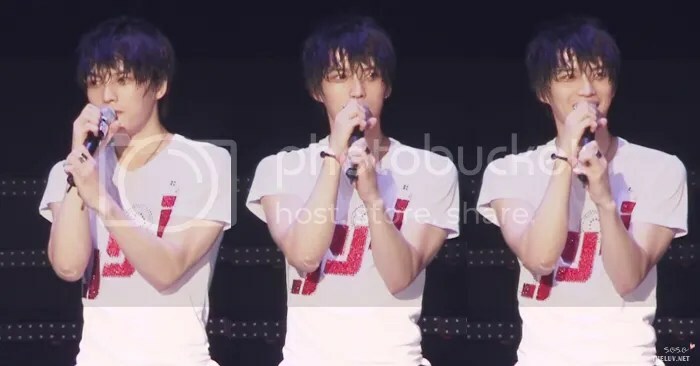 Jaejoong: today, it’s the last day of the world tour but…although this venue is smaller than the one in Busan, your cheers which are almost equal to the cheering in Busan made us really happy, everyone from JYJ is really happy. Thank you very much. Alright then, the final song. We understand. The loneliness, we understand… But, this is the last song. When I do this everyone says that I’m drilling (T/N: in the military sense) my fans right. Well, it is the last of the world tour so please listen to what each member wants to say and let’s move to the final greeting. 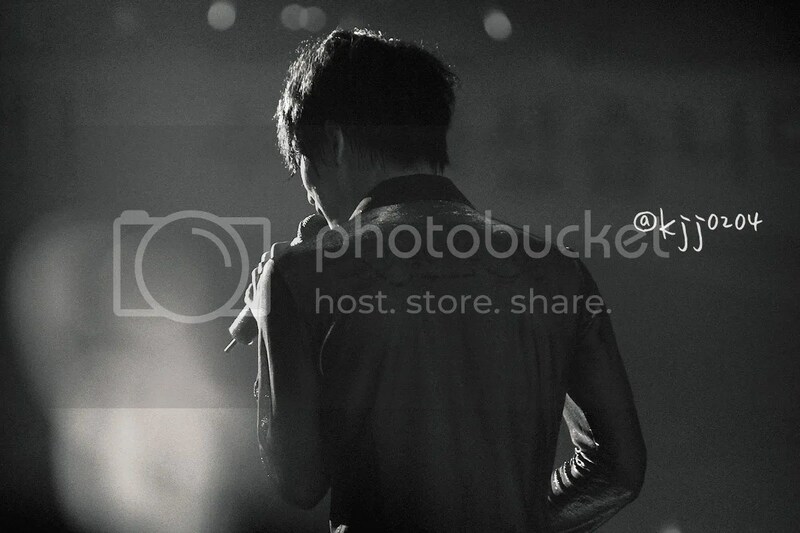 Yoochun: unless it is a concert like this one, we won’t be able to meet with everyone right. During the time that we make music to release an album or a single, I feel like there won’t be many chances to let everyone hear our music and it’s hard but, ever since becoming a singer this is the best stage that we’ve stood on, and the amount of fun we had with everyone here is much more than the fun of appearing on tv shows, and it’s better than appearing on any other stage, I believe. (T/N: the original word is 舞台 which means stage or theater, but in this context it could mean any other act, concert). Concerning the world album, it has brought us up till this Gwangju concert, I’m so thankful, so happy. 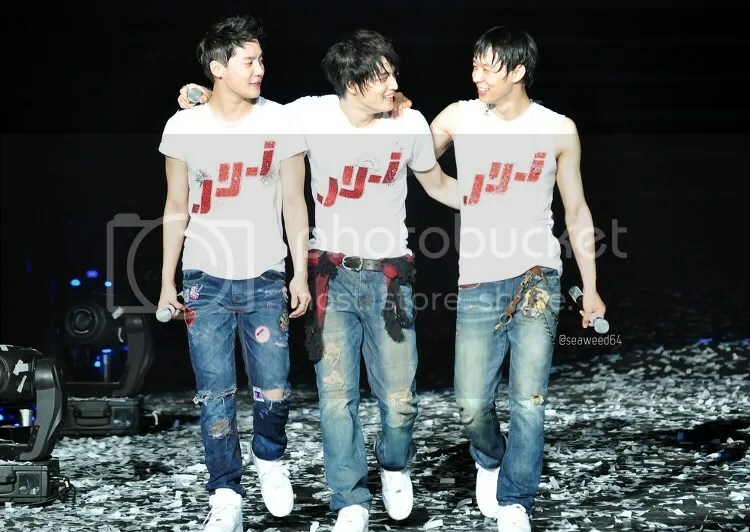 The members are all busy but, what is most important, what is most needed, we will not be able to obtain/secure the name JYJ without strong effort I think, so, please support us like you always do, because I really want to meet you again on a cool stage. 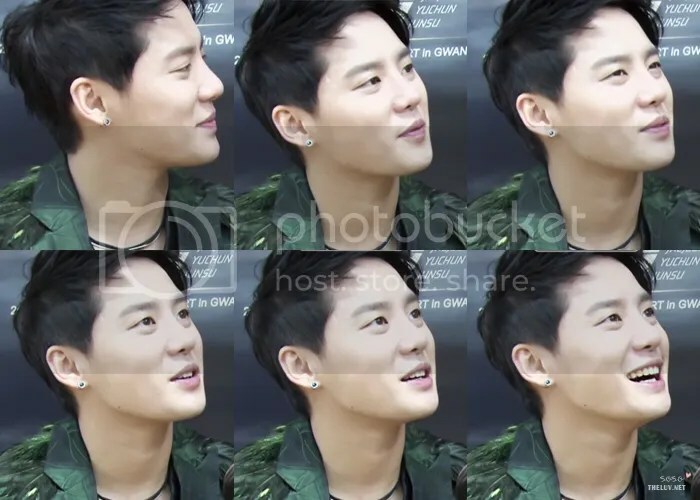 Junsu: Today, it is the last stage of this years tour, only the last song remains really. I’ve stood on many stages but, as I thought standing as JYJ and being able to breath as one with everyone here is the foundation, is the place that gives us the most power I believe. Also, it is not us who are giving everyone here energy through the concert, instead I feel like we are the ones accepting energy from everyone. I feel like we have concluded the year 2011 very well. It is something that we always say, but really thank you very much.